March Madness begins Thursday Mar. 21. Ah, it’s March Madness time again. 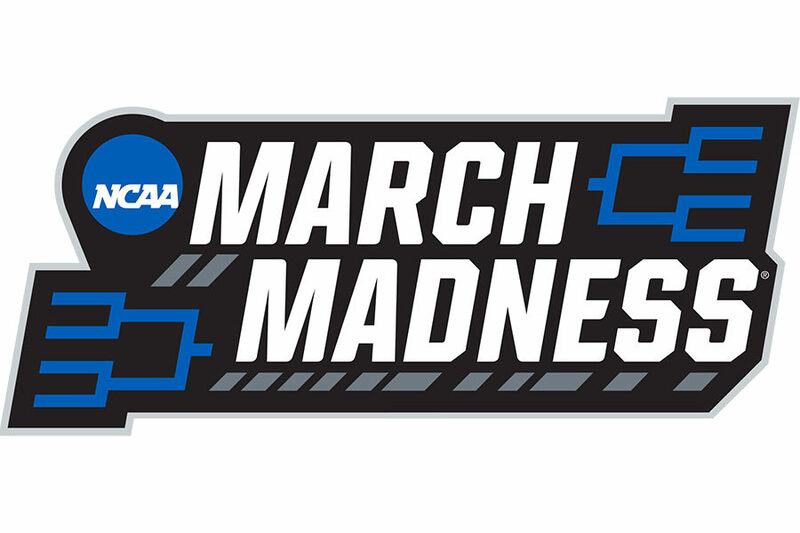 Time for 68 teams to duke it out for the ultimate title of NCAA men’s basketball champion. Time for brackets to be busted game after game, leaving millions of people around the world disappointed, of course. Before you fill out those brackets, though, here’s a quick rundown of who to look for when it comes to the championship. Any team with three likely top-5 NBA draft picks is going to be a frontrunner for the supreme title of college basketball champion, and Duke is no different. With megastar Zion Williamson fully healthy and clearly rust-free after a spectacular performance in the ACC tournament, the Blue Devils won’t be easy to knock off, especially if RJ Barrett and Cam Reddish support Williamson effectively. One year ago, UVA’s season ended with the ultimate disappointment: a loss to 16-seed UMBC in the first round of the tournament. This year’s ‘Hoos are different, though. De’Andre Hunter has transformed into a legitimate go-to scorer, and Virginia has two knockdown shooters in Kyle Guy and Ty Jerome who can light up any defense when they’re on. Throw in one of the nation’s best defenses and the Cavaliers will never be an easy out. The Tar Heels beat Duke not once, but twice, and nearly three times this year. Even though UNC couldn’t complete the season sweep in the conference tournament, it still takes a ton of talent to do what they’ve done this year. Nassir Little, who came into the year as the number three prospect in the nation, has disappointed, but the trio of Cameron Johnson, Coby White and Luke Maye has allowed UNC to continue their run as a top team, and a title run is not at all out of the question. Gonzaga’s loss to Saint Mary’s in the West Coast finals nearly cost them a 1 seed, but Tennessee’s loss in the SEC tournament allowed them to hold their spot. The Zags went 30-3 this year, albeit in a less than competitive conference, and are led by Japanese breakout star Rui Hachimura, who averages over 20 points per game. If the Bulldogs can put it all together for a few games, they’re legitimate contenders. Many people wrote Kentucky off after they lost by 34 to Duke in the early stages of the season, but as always, John Calipari has his squad ready when it matters. The Wildcats ended up having a solid season as Tyler Herro and PJ Washington came into their own as stars in the UK lineup. UK is as sure a bet to make the Final Four as anyone. Every year, the SEC seems to have a team or two that is seeded too high. This year, it’s the Tigers. While they had impressive wins over Kentucky, Auburn and Tennessee, LSU showed no ability to win tough non-conference games (as SEC teams typically do), losing to Houston, Oklahoma State and Florida State, and nearly losing to Saint Mary’s and UNC-Greensboro. Couple these factors with a tough first-round matchup with Yale, who pulled off a shocking upset over Baylor a few years ago, and LSU isn’t a great pick to make a big run. The Bulldogs selection as a number 5 seed seemed a bit generous, which is another case of an SEC team getting a boost due to relevance. Mississippi State beat Auburn at home, but aside from that, they just beat up on the bottom of the conference. The Bulldogs are being aided by an undefeated nonconference run in which they defeated Wofford and Cincinnati, but have slowed down recently and should be on upset watch against upstart Liberty. Like Mississippi State, Louisville got off to a tremendous start to the season and fizzled down the stretch. Ryan McMahon is one of the streakiest shooters in the nation, and where he goes, they go. The Cardinals blew tons of second half leads in ACC play, including a game against Virginia in which they scored 15 points in the second after leading by 12 at the break. Even as a 7 seed, they take on a gritty Minnesota team before likely facing Michigan State, so the Cardinals are a risky pick. Marquette is in a tough spot. Not only did the Golden Eagles lose five of their last six games to close the season, they also drew Murray State in the first round of the tournament, which is not ideal in any way. Ja Morant’s Racers are one of the tougher 12 seeds the tournament has seen, and it’s going to be tough for Marquette to survive that game, let alone go any further. The Badgers have been one of the toughest teams to figure out this season. First, they lost to Western Kentucky in non-conference play, and suffer a bad loss to Maryland early in the conference season. Then they ended the year by winning five of their last six and making a run to the Big Ten semifinals. These inconsistencies will make their first round matchup with Oregon tough, and making it much further is almost out of the question. Out of the Mid-American Conference, the Bulls are a rare mid-major team that would have made the tournament even without winning their conference championship. At 31-3, UB earned a No. 6 seed in the tournament and has a first round matchup with either Arizona State or St. John’s, two teams with below average resumes. Senior guard CJ Massinburg shined in the Bulls non-conference wins over West Virginia and Syracuse, and has proven time and time again that he’s ready for the tournament. A Sweet Sixteen run or even an appearance in the Elite Eight isn’t out of the question. The Cyclones slumped towards the end of the season and wound up as a No. 6 seed with a first round matchup against Ohio State. There are two reasons that Iowa State is a solid pick. First off, they have experience. This is a team that has been in the tournament year in and year out, and typically wins at least a game or two. Second, their ceiling is high. When ISU is on, they’re arguably the best team in the Big 12, and it will show. The Bearcats thrive in close games. During Big East play, Cincinnati went 11-3 in games decided by ten or less points. Guess what? Most March Madness games are tight, down to the wire even. It pays to be able to hold on in those final few minutes and make a couple of clutch shots. As a No. 7 seed, Cincy is one of the biggest sleepers in the tournament and has a very winnable first round game against Iowa. No matter what happens in the regular season, it seems that when the Sweet 16 comes around, every year, the Orange are there. A few years ago, Syracuse made a run to the Final Four as an 11 seed, and this year as a No. 8, they’re poised to do damage. They take on Baylor in the first round and will have a second round shot to knock off No. 1 seed Gonzaga, which is an intriguing upset possibility. The Ohio Valley Conference champions are a squad to be wary of. No. 12 seeds have a history of pulling off upsets, and it’s tough to find a recent 12 as talented as this year’s edition of Murray State will come in hot. Ja Morant, a likely top-5 NBA selection, is a triple-double threat every time he steps on the floor, and while his supporting cast is merely adequate, this is a team that can make a deep run. History suggests that teams who win 30 games, no matter what conference they are in, typically play tough. NMSU went 30-4 and drew a No. 12 seed out of the Western Athletic Conference. The competition may not have been great, but they played Kansas close, losing by three, and only has one loss since the calendar turned to 2019. Auburn is red-hot, but they cannot overlook the Aggies in round one. Refer to New Mexico State when it comes to 30 win teams that are seeded low. Even in the Big West, where only two other teams had winning records, it’s no small feat to reach that threshold, and UC Irvine pulled it off. They also won at Saint Mary’s and at Texas A&M in non-conference play. They’ve got Kansas State in the first round, who is a bit of a question mark coming in, and the Anteaters have the talent to win a game, or even more.